I stand with arms lodged on my knees, legs about to give out, and still heaving air trying to regain a glimmer of composure. Moments after the workout has ended I can still feel the lactic seeping out of my exhausted muscles. My eyelids are heavy, ready to droop and close for the most satisfying nap. I've just put in a solid day's work of training-one that has expended every ounce of energy my body had. I know I'll be better from this workout. In this moment, I am so present; every fiber of my body is on alert. But a week later I won't remember this; I'll have no idea what my splits were or even the distance I was running. One of the biggest questions I was asked when I was in high school was what my mileage was. And I had no idea. I couldn't even guess. I had never thought to keep track of it. It's only been in college that I began to understand the practicality and the value of keeping a training log. As a freshman in college, I had just begun to record my runs. I really had no idea what I was doing, but I was very aware that I was doing way more miles than I ever had. I was also running them a lot faster as well. But I felt great! I was the most in shape I had ever been until that point, and then I wasn't. My legs began to feel sluggish like I couldn't pick them up. I managed to muscle my way to a respectable finish at the ACC conference cross country meet, but I truly burnt out at the Northeast Regional meet. I genuinely don't remember the race, but I know I fell and passed out at the finish line. Looking back at my training log I see now that I had increased my mileage and intensity much too quickly. It caused my legs to basically give up; they couldn't handle the workload I had tasked them with. Had I used my training log at the time, this burnout could have been prevented. Keeping a training log is surprisingly entertaining. I always record the details of every run and it's nice to be able to look back at those memories. My favorite is likely what I wrote about our cool down after MVC cross country conference last year. Our team had dominantly won the title, putting five in front of second place's one, and we were ecstatic. Our two-mile cool down consisted of loping through fields, climbing hay bails, and eventually sprinting to awards. It was an amazing moment, and I've made sure I'll never forget it. Honestly, I wish I had kept a training log in high school as well. I don't remember too much from my time as a high schooler and I wish that wasn't the case. But it's also especially important in the winter. Most of us are away from our coaches during winter break or in the off-season. The training we do right now is incredibly important though. This is our base for track, and if we want to do well, this training should be taken seriously. 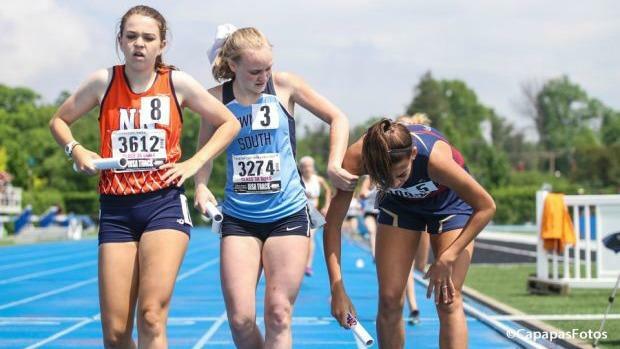 A coach-athlete relationship requires a healthy dialogue about training, and having recorded what you did over break will only make in-season training better. Your coach will listen to you about how you felt during your runs and what you did. From there, adjustments can be made and success can be found. So happy winter running and have fun logging your miles!